Simple & Creative Easter Basket Ideas For Kids That Aren't Candy! Simple & Creative Easter Basket Ideas For Kids That Aren’t Candy! Easter is right around the corner, and it is one of my favorite holidays. 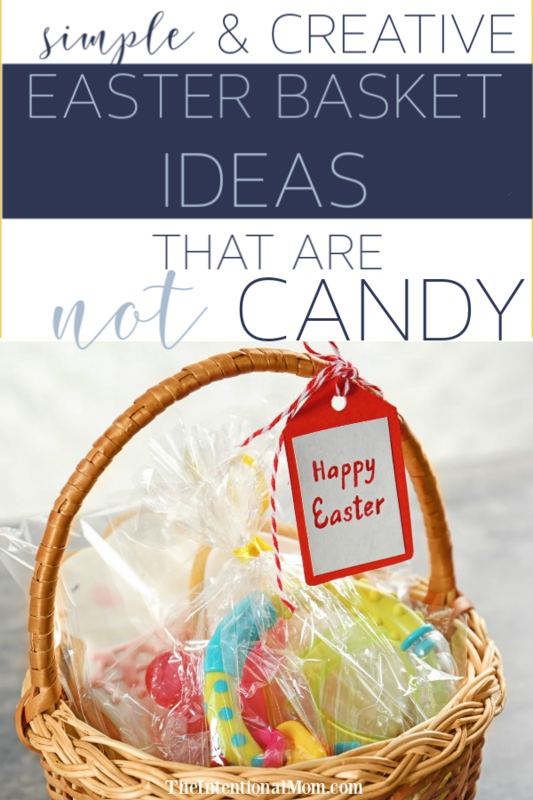 Traditionally, Easter is a time when there are plenty of candy and sweet treats to go around, but you might be looking for some Easter basket ideas for your kids that don’t include the typical candy options yet are still fun. 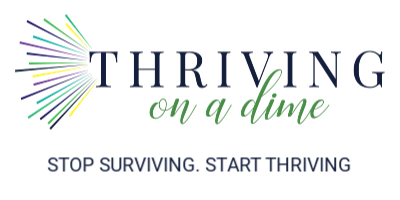 Whether you’re looking for Easter basket ideas for your toddlers, your teens, or kids in-between, I have found some creative and unique ideas for stuffing those baskets that won’t contain all the sugar. Looking for some other ideas for Easter traditions? 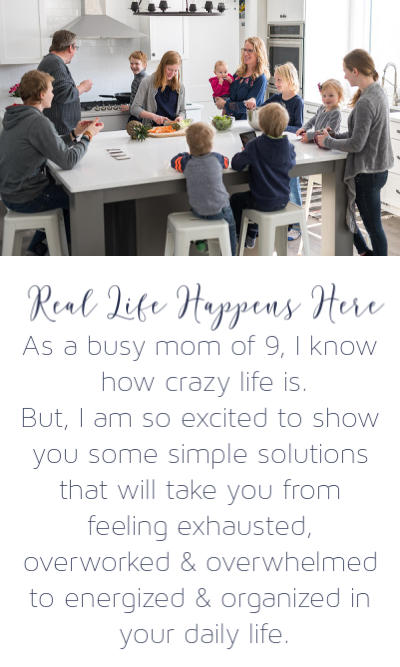 Be sure to enter your email below to grab our list of conversation starters to have with your kids. Holidays are the perfect time to have some great conversations with your kids! These ideas will be a welcome addition to your holiday traditions this year! Fill in your email to get your download & grab some other free stuff too! Success! Now check your email to get your download and confirm your email address! When it comes to Easter basket ideas, healthy food options are always a way to avoid all the candy. However, I love filling my kids baskets with non-food items more than anything else. Here are some treats for your kids to find in their Easter baskets that aren’t candy! This can include anything from crayons and colored pencils to an actual coloring activity like this one – without all the mess. For older kids, professional colored pencils or a paint by number can be a great choice. Family gatherings are the perfect time for playing games. So, filling the Easter basket with a new game is the perfect opportunity to make playing a game a fun and new experience for kids and parents alike. This card game here is one of our family favorites for kids of all ages. When Easter arrives, summer is on the horizon for us here in the United States. I love putting in a summer activity or two in the Easter basket for this reason. Sidewalk chalk, a new jumprope, or a new pair of sunglasses all make perfect summer Easter basket stuffing ideas. Activity books are so fun for kids, and there are some amazing options for kids of all ages. Try this one here or this one for toddlers. These are great for those elementary aged kids, and for older kids these ones here are favorites among my teens. With spring concerts, performances, and activities right around the corner, having quiet activities for entertaining makes it easier for kids to sit through all of these things. I know, I know, what fun is a toothbrush? But, there are some really great options out there. I love putting a fun toothbrush in my kids’ Easter baskets. Do you have a joke book in your home? If not, you really should. When things get a bit loud, frustrating, or heated in our home, sometimes just telling a few corny jokes is the perfect thing to lighten the mood. You can even liven up your Easter by telling a few jokes. Laughter is always the best medicine. For little boys these could be things like matchbox cars or for little girls something like this. For older kids, Easter baskets are the perfect time for a simple eye shadow or lip gloss for girls and maybe a small building kit like this one for a teen boy. I don’t know about your home, but there can never be enough lip balm in our house. We endure the winter months for several months a year, so lip balm is like gold around here. Any opportunity to bring more into the house is something I take full advantage of. Socks. They disappear in my house like crazy. After socks have all gone MIA during the long winter season, Easter baskets provide a perfect way to replenish the sock stash in our home. My kids love looking at family pictures that capture a special memory. Choose something special that happened in the past few months that you have a picture of and put it in a frame. You can even use the same frame time and time again, just rotating the picture. So often we think of Easter and we think of candy. 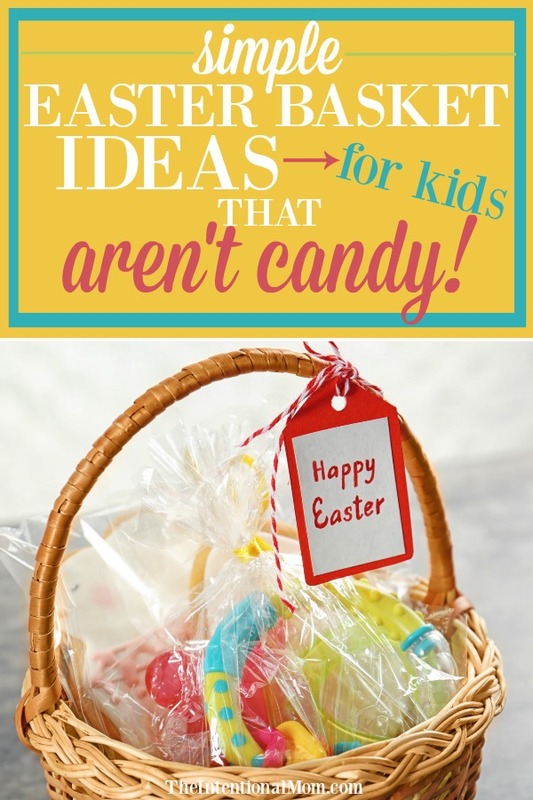 But, coming up with creative Easter basket ideas that are simple, fun, and unique that aren’t candy can be really special. These are the things my kids have loved finding in their Easter baskets every year. Be sure to check out this easy DIY Easter basket idea for kids HERE – super easy and fun!